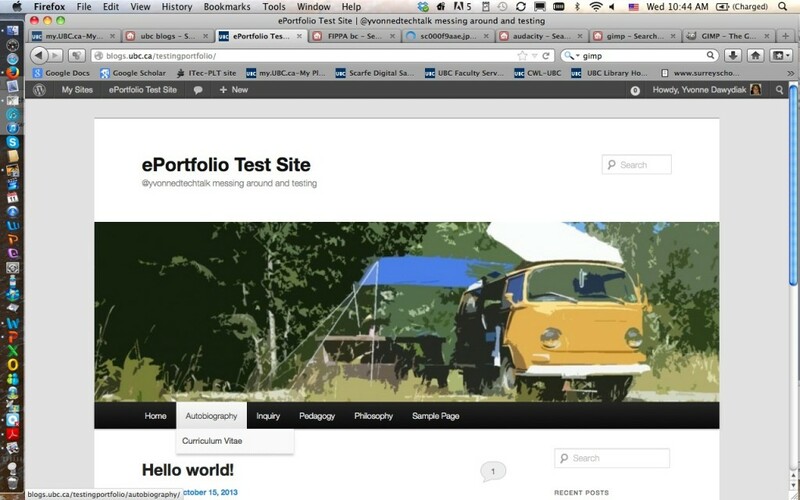 This clear and concise video will help get you started with UBC Blogs WordPress. To learn more and/or to customize the look and feel of your blog, please visit the other tutorial posts and various pages in this site. You’ll find tips and tricks from “How to protect privacy” to “How to add a video or slideshow”. To get a little one on one or small group help, drop-in to the Scarfe Digital Sandbox in Scarfe 155 (through the Education Library) from 12 – 2pm on Tuesdays to see me (Yvonne) for a hand. As a teacher creating a professional blog, protecting privacy isn’t just about protecting yourself but is also about being mindful of your students. As you build your site, you’ll want to ensure that you protect student privacy – this includes redacting/removing the names of teachers, students and schools and using only non-identifiable images. Keep in mind the purpose of your blog. Remember, it is not a class website meant to celebrate the students in the classroom, it is about you: your inquiry and your journey through Teacher Ed. and houses your own ideas and reflections about teaching and learning. It is possible to do so without infringing on student’s privacy and adding to their ‘digital tattoo’. Be creative in how you take photos! 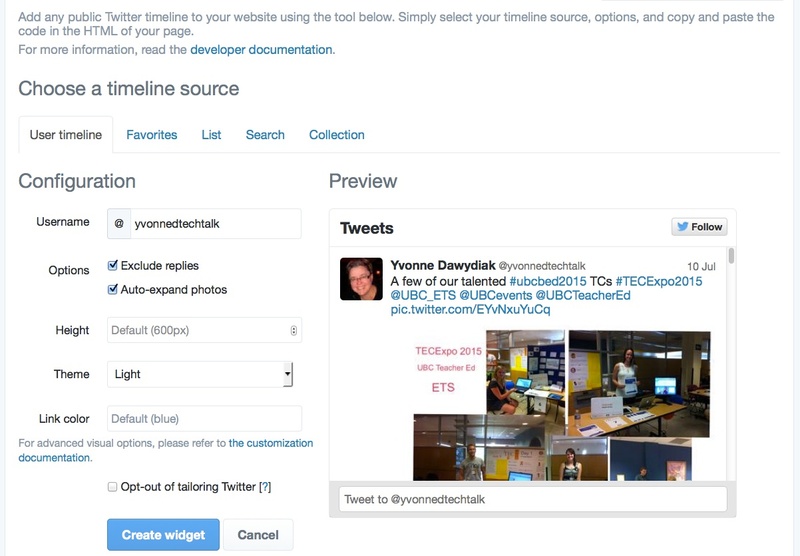 Please note that you may upload student work product and images (with appropriate permissions and/or with respect to privacy) on UBC Blogs since it is housed in Canada. If you choose to use an American housed blog or website/server, FIPPA (The Freedom of information and protection of privacy act) applies and you may not upload student work or images (EVEN if you protect privacy). You may include student images and/or video in a web document only if you have written permission from the student and their parents. Alternatively, you can use photographs and/or video without obtaining written permission, if such media do not show the students’ faces or any identifying information (such as names, places, images of locations, etc). *NB: Written permission from parents of minors must follow school /school district guidelines and, as such, should be approved by the school Administrator. I recommend that this permission should be specific about the usage of the image in the TC’s professional blog – including noting if it is a ‘public’ site accessible on the internet. When you are ready to submit and share your work, you will want to ensure your permissions are set correctly to allow people to view your blog. 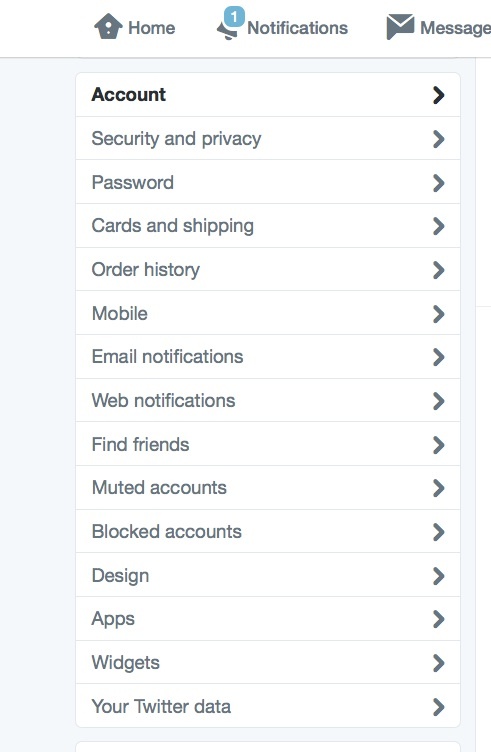 View the video tutorial below to learn how to change overall blog privacy settings. If you chose to make your site open only to subscribers, you will need to add your instructor (and anyone else you wish to view your site) as a user click here to learn how to. 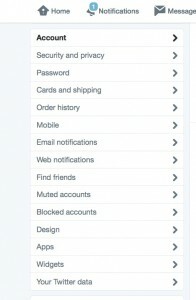 Also each page and post have their own ‘visibility’ permissions, click here to view a tutorial on how to create a post and change visibility settings. The video tutorial below will guide you through the steps of creating a post, adding pictures, managing categories and tags, and adjusting visibility setting. 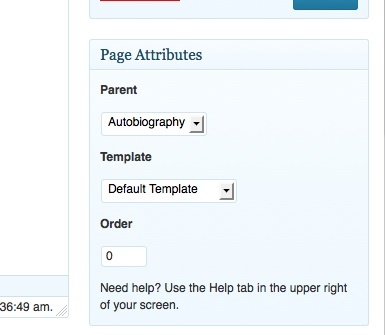 In your Dashboard, Select ‘Pages’, Now, either create a new page or select and edit a page you’ve already created. On the far right hand side of the page editor, you will see a drop down menu called ‘Page attributes’ (see below). In this case, I’ve chosen Autobiography as the parent page for my page. Another more advanced and effective way to design this structure is through CUSTOM MENUS under APPEARANCE in your Dashboard. 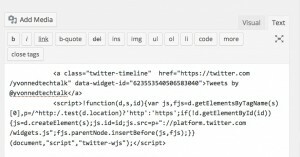 You can embed a twitter feed – your own or a hashtag you like to follow – into your blog by creating a widget in twitter, copying and pasting the embed code here, into the ‘text’ field of your blog. 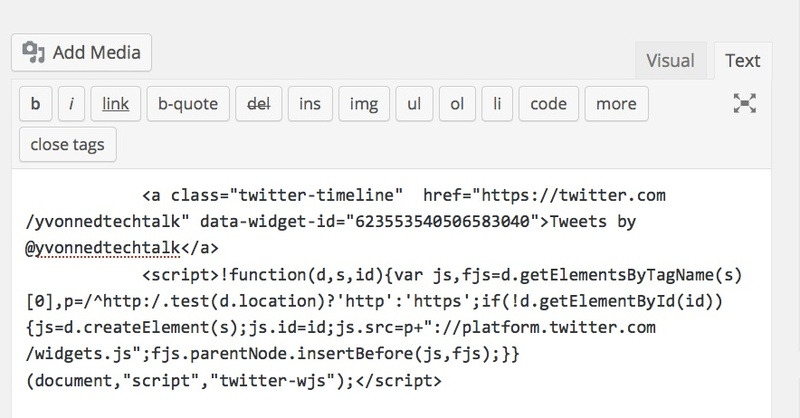 You can also paste the embed code into the ‘text widget’ as I’ve done on the left of this blog (go to the dashboard, select widgets, find the text widget and drag it to your sidebar). This Twitter blog has excellent instructions on how to do this. The screen shots below show the basic steps. Now paste it into the TEXT editor field of your post or page!